Unemployment job numbers across the United States is still hovering around 10 percent. If you are looking for a job, there is still ample jobs competition across the board. But there are some industries where the job competition is higher. If you were previously employed in these industry sectors, it means it will be much harder to find any work. 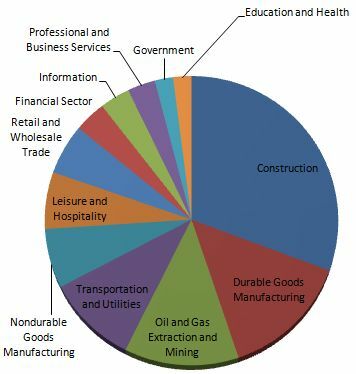 According to the US Bureau of Labor, here are the unemployment rates, ranging from highest to lowest in these industries. The United States is still working to add more solar jobs so be prepared for the rise in these jobs. Currently, much of the solar energies work is occurring overseas and China is the main manufacturer of solar panels. But the government is pushing this green energy agenda for the future. If you have been searching for a job in the high unemployment industries but ending up with no job, then perhaps, it is time to switch to another industry such as a certified nurse aide in the health industry. As you can see, government, education and health jobs have low unemployment. This can also point to less unemployed people looking for jobs. However be aware that new college graduates will be aiming for these jobs.